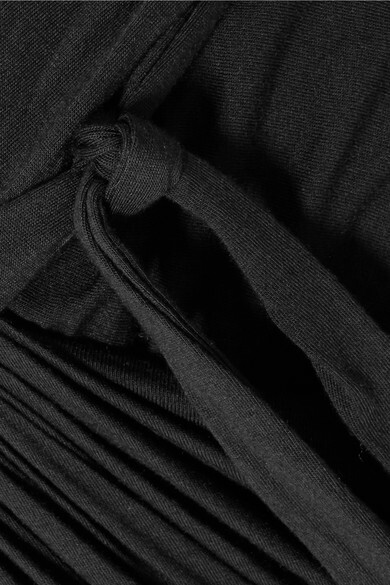 Rick Owens often uses black in his collections so the focus remains on his unique cuts and silhouettes - which the acclaimed designer takes a lot of time to truly perfect. 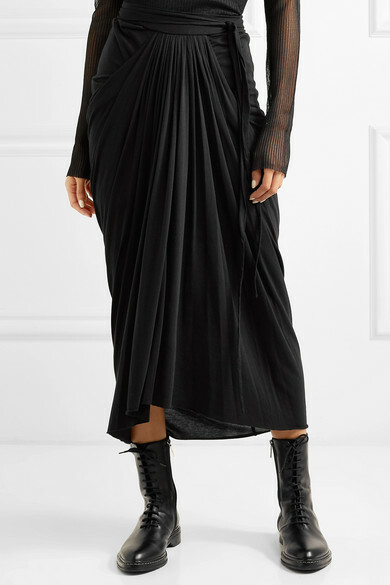 This midi skirt has been made in Italy from stretch-jersey and artfully draped at the front. It falls asymmetrically to your ankles. 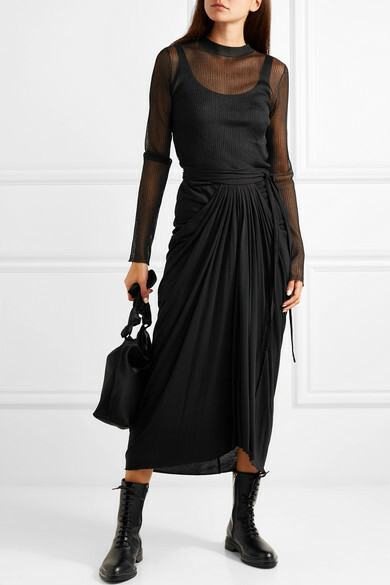 Shown here with: Dion Lee Dress, The Row Shoulder bag, The Row Ankle boots, Wolford Bodysuit.